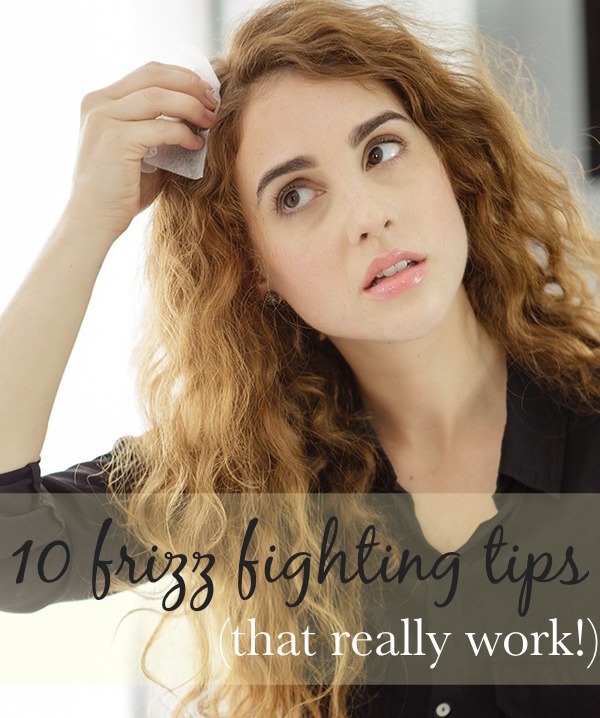 Want To Ditch Chemical Hair Dyes? Go Natural With Surya Brasil Henna Cream! Press sampleGray hair is the bane of my existence. It seems like the week after I have my hair colored the grays are already back! (and why are they always the worst around my temples and forehead – right where everyone can see them the most?!) I never really wanted to color my hair but as more and more grays cropped up on my head, I had no choice. I’ve been applying medium/dark brown hair dye to my roots nearly every 2 months since I was 25. And that was a while ago. But something has always bothered me about my hair dye. I have no idea what chemicals are in there but I do know they aren’t any good for me! And that’s the reason I feel like a dye job has become a necessary evil for me. As I’m getting older, I want to be more careful about the chemicals or toxins I consume or apply to my body. And I bet I am not the only one who feels this way! 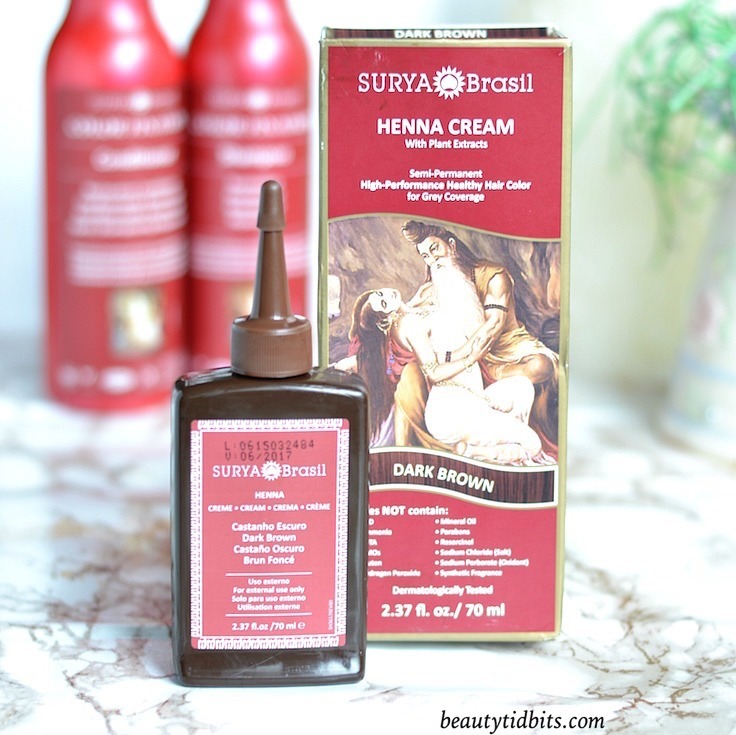 Enter Surya Brasil Henna Cream! Free of PPD and other harmful chemicals, it’s a safe and non-toxic, more natural way to cover your grays or change your hair color while conditioning your hair. Surya Brasil Henna Creams are not compound hennas and do not have lead or other heavy metals added to the formula. Based on the principles of Ayurveda, this henna cream is formulated with a botanical complex of 15 exotic herbs and fruits like arnica, açai, juá, aloe vera, chamomile, Brazil Nut and guarana from India and the Brazilian Amazon Rain Forest. It does not strip the melanin from the cortex of the hair, but rather forms a protective coat of rich semi-permanent color around each strand. And it’s perfectly safe for use on chemically treated (straightening, perm or relaxed) and color-treated hair wigs with highlights. Surya Brasil Henna Cream Color does NOT contain ammonia, PPD (para-phenylenediamine, a common allergy-causing ingredient), parabens, methlydibromo glutaronitrile (preservatives), propylene glycol, EDTA, phenoxyethanol, peroxide, resorcinol, heavy metals, artificial fragrance, mineral oils, GMO’s or gluten. It’s also 100% vegan and cruelty free. However, the formula does have a very small percentage of mild, non skin-sensitizing color, which is considered safe by Skin Deep (Environmental Working Group) standards. I have used henna powder (mixed with water) in the past to color my hair and while I loved the vibrant, long-lasting color it gave me, I didn’t like the amount of effort it took to rinse off the henna mixture out of my super long and thick, unruly tresses…it was a mess! Plus, it left my dry, frizzy hair even more dry, poofy and harder to manage, which is why I finally gave up and switched to the regular boxed dye. But I am happy to report that Surya Brasil Henna Cream has none of those ‘side-effects’! Designed like a hair conditioning treatment, the henna cream texture is rich and silky with a mild, pleasant scent. The ready-to-use henna cream is super easy to apply on clean hair (the kit comes with full instructions, gloves and a plastic cap), stays on without dripping and rinses out without any problem…no mixing, no mess, no-nonsense! And don’t worrry, the henna color won’t stain your sheets or pillow covers. The natural cream formula is moisturizing and doesn’t leave my hair damaged and dried out after the color is gone. I love how my hair feels soft and smooth with lush, vibrant color! But there is one drawback – the color doesn’t last long, like not more than 2-3 weeks and that too with minimal hair washing. So, for those of us with a lot of grays, this is a major setback because you would need to use the henna cream very frequently (as compared to regular boxed dyes) to keep those pesky grays covered. However, if you are into hair coloring just for fun and switching up your look, this should not be a big problem! Overall, if you also want to ditch the bleach and PPD infested hair dyes, Surya Brasil Henna Cream is a great solution! Henna Cream is available in 15 Shades: Ash blonde, black, burgundy, chocolate, Swedish blonde, silver fox, reddish dark blonde, red, mahogany, light brown, light blonde, golden brown, golden blonde, dark brown, copper. What color would you chose? I also tried Surya Brasil Color Fixation Restorative Shampoo & Conditioner that are formulated specifically for damaged and color-treated hair to keep hair smooth and maintain the integrity of hair color. This moisturizing shampoo is completely sulfate-free (yet lathers fairly well!) and cleanses gently with mild surfactants derived from coconut. If your hair is very oily or has a lot of product build-up, you might want to use a stronger, clarifying shampoo but for daily gentle cleansing, this works well! The conditioner is 100% natural and provides nourishment to damaged strands with sustainably harvested botanicals including Brazil nut, jasmine, chamomile, rice proteins, Amazonian buriti oil and cupuacu butter, while extending the life of hair color. I really love this conditioner! It’s rich formula is super moisturizing, but doesn’t weigh down my hair. I make sure to use it after rinsing out my henna cream for added softness. Overall, this shampoo & conditioner duo is a great pick for pampering dry, damaged tresses and protecting color (henna or chemically treated) on a recently dyed ‘do! Surya Brasil Henna Cream ($16.49) and Color Fixation Restorative Shampoo & Conditioner ($14 each) are available online at suryabrasilproducts.com and select Whole Foods Markets.